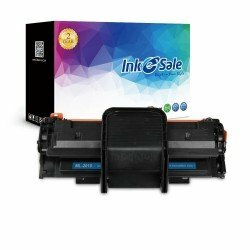 If you have the demands to buy toner cartridges for your Samsung ML2010 printer, you can purchase it at INK E-SALE. We offer Samsung toner such as hot sale model MLT-D119S Compatible with Samsung ML2010. We guarantee the quality is as good as the original, but the price is economic, and we have the quality assurance that you can buy it safely. In addition, we offer two years warranty for refund or replacement.